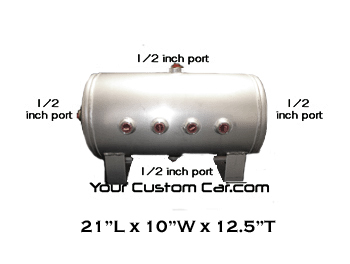 Our 5 gallon aluminum air tank is the most commonly used size tank for air ride suspension. Our Aluminum versions won't rust and five gallons of air will allow you to lift your air suspension from completely flat at least 1.5 times! 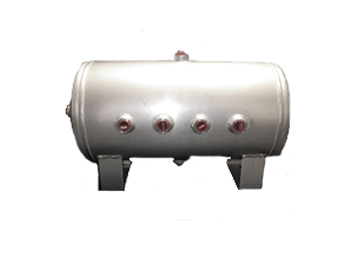 Most air compressors were designed around filling a five gallon tank and can do so quickly. The 8 port design allows for several configurations when installing your air line, pressure switch, valves, gauge, or compressor feed line. Made of aluminum so rust will never be an issue! Constructed of aluminum to eliminate corrosion inside and out! Other sites charge $132.99 for this air-tank! You Save $28 by shopping with us!